Pastor Ryan used the persecution that Paul and Silas experienced to teach us three opportunities God might use through our suffering. While being faithful to the Holy Spirit’s leading, Paul and Silas were arrested, beaten with rods, and thrown into the inner cell of a prison. Pastor Ryan reminded us that we should never wish for suffering, but that we don’t want to waste the opportunities that God might use. God is most honored and worshiped when we express our love to Him during times of suffering. It’s pure love when we sing Holy, Holy, Holy, Is the Lord God Almighty while under duress. During the Worship Service time we were encouraged to remember a time, present or past, when we were suffering, and to offer the praise of Holy, Holy, Holy to the Lord. Share that experience with those around you. A time of crisis provides the context for God to work a miracle. This is a time for us to realize that God is in control of all our circumstance, even during suffering. We can begin to have spiritual eyes and see circumstances from God’s perspective. As you remember a time of suffering can you now see God’s hand at work in that time? Share that time with those close to you. Suffering allows us the opportunity to show Christ in a powerful way to an unbeliever, or doubter. This may be the best opportunity for us to extend the saving grace of Jesus Christ to another. Can you share an experience when you saw the power of the Gospel extended during a time of suffering? Prejudice can be seen in the areas of racism, cultural, education, elitism, disability, age, and etc. In Acts 11 Peter experienced prejudice among the brethren and the apostles when he had shared the good news about Christ with a Gentile named Cornelius. God had shown Peter that all men are equal in His sight. In Acts 11: 9 says, “But the voice answered a second time from heaven, ‘What God has made clean, do not call common.” Peter needed to be willing to see this and put aside his prejudices. At this time in history, there were prejudices between the Jews and the Gentiles. At times we need to step out of our comfort zone to change our perception. Peter put aside his prejudices and realized that God had chosen the Gentiles to receive the gift of the Holy Spirit. Acts 11:17 says, “If then God gave the same gift to them as he gave to us when we believed in the Lord Jesus Christ, who was I that I could stand in God’s way?” Peter was willing to receive what God had shown him. Setting aside our prejudices can open the door to be a part of what God is doing. The apostles and the brethren realized that the Gentiles were part of the family of Jesus Christ and received the same repentance as the Jewish believers. Acts 11:18 says, “When they heard these things they fell silent. And they glorified God, saying, “Then to the Gentiles also God has granted repentance that leads to life.” Believers are made up of all different kinds of people groups. Today, we have our first identity as a Christian; however, we are also to enjoy our diversity. Remember: Men looks at the outward appearance but God looks at the heart. • Has God revealed any prejudices in your life? • Has God challenged you stepped out of your comfort zone to change your perception? • Has God changed your perception of a situation or a people group based on a prejudice? • Due to culture, what things you do celebrate in your family? • Share about a time when you experienced opposition as result of embracing the truth that Jesus is the only way to have true fulfillment. • Does popular wisdom embrace the truth that there is only one answer or one way to have a personal relationship with God? • In what ways do you see our government and culture moving away for what we know to be truth? • You can be bold in your proclamation about Jesus and show respect. Pastor Ryan stated that more people are turned off about Jesus because of the distasteful attitude of Christians than about the truth about Jesus. • How can you share the truth with gentleness and respect? 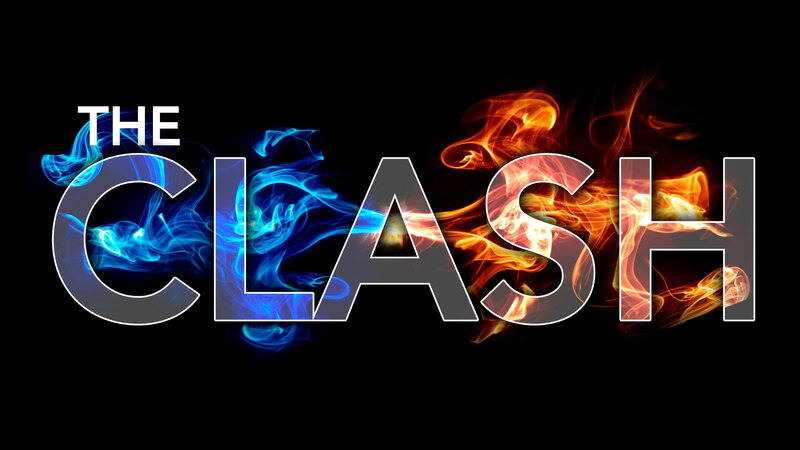 This weekend Ryan Cook, our student pastor, launched our new series, The Clash. As Christians we often feel at war with the society around us, but before we can approach the Clash, we must prepare. We must first know the heart of God before we can become His hands and feet. In Acts 1, we can glean insight about how the early church prepared for the clash. If you want to know somebody you have to spend time with them. Jesus came and spent time with the Disciples. They spent time with Him and learned who He was so that they could be like Him. If we are going to know God we must spend time with Him. • Is your life saturated with the word of God? • Are you walking according to God’s strategy or have you made plans of your own? • Are you leaning on your own power or God’s strength? • What is a stronghold in your life? • Are you worth following?